While ballast water is essential for safe and efficient modern shipping operations, it may pose serious ecological, economic and health problems due to the multitude of marine species carried in ships' ballast water. These include bacteria, microbes, small invertebrates, eggs, cysts and larvae of various species. The transferred species may survive to establish a reproductive population in the host environment, becoming invasive, out-competing native species and multiplying into pest proportions. The problem of invasive species in ships' ballast water is largely due to the expanded trade and traffic volume over the last few decades and, since the volumes of seaborne trade continue to increase, the problem may not yet have reached its peak yet. The effects in many areas of the world have been devastating. Quantitative data show that the rate of bio-invasions is continuing to increase at an alarming rate and new areas are being invaded all the time. Preventing the transfer of invasive species and coordinating a timely and effective response to invasions will require cooperation and collaboration among governments, economic sectors, non-governmental organizations and international treaty organizations; the UN Convention on the Law of the Sea provides the global framework by requiring States to work together "to prevent, reduce and control human caused pollution of the marine environment, including the intentional or accidental introduction of harmful or alien species to a particular part of the marine environment." In November 1993, the IMO Assembly adopted resolution A.774(18) based on the 1991 Guidelines requesting the MEPC and the MSC to keep the Guidelines under review with a view to developing internationally applicable, legally-binding provisions. 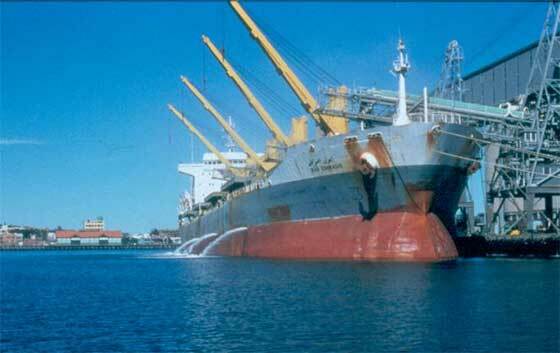 While continuing its work towards the development of an international treaty, the Organization adopted, in November 1997, resolution A.868(20) - Guidelines for the control and management of ships' ballast water to minimize the transfer of harmful aquatic organisms and pathogens, inviting its Member States to use these new guidelines when addressing the issue of IAS. After more than 14 years of complex negotiations between IMO Member States, the International Convention for the Control and Management of Ships' Ballast Water and Sediments (BWM Convention) was adopted by consensus at a Diplomatic Conference held at IMO Headquarters in London on 13 February 2004. In his opening address to the Conference the Secretary-General of IMO stated that the new Convention will represent a significant step towards protecting the marine environment for this and future generations. "Our duty to our children and their children cannot be over-stated. I am sure we would all wish them to inherit a world with clean, productive, safe and secure seas - and the outcome of this Conference, by staving off an increasingly serious threat, will be essential to ensuring this is so". Regulation D-3 also requires that ballast water management systems which make use of Active Substances to comply with the Convention shall be approved by IMO in accordance with the Procedure for approval of ballast water management systems that make use of Active Substances (G9). Procedure (G9) consists of a two-tier process - Basic and Final Approval - to ensure that the ballast water management system does not pose unreasonable risk to the environment, human health, property or resources. A technical group of experts has been established under the auspices of GESAMP to review the proposals submitted for approval of ballast water management systems that make use of Active Substances. The GESAMP Ballast Water Working Group (GESAMP-BWWG) reports to the Organization on whether such a proposal presents unreasonable risks in accordance with the criteria specified in the Procedure for approval of ballast water management systems that make use of Active Substances. For more detailed information regarding the ballast water treatment technologies please click here. The Convention will enter into force 12 months after ratification by 30 States, representing 35 per cent of world merchant shipping tonnage. For the current ratification status please click here Status of Conventions.